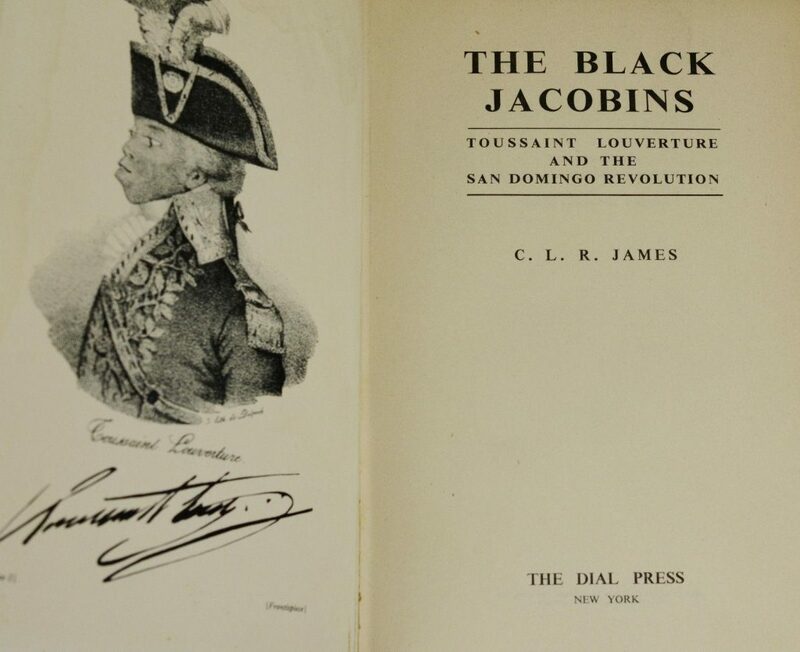 My book, “The Black Jacobins,” will appear this fall in England (Secker and Warburg) and America (The Dial Press). The book deals with the story of Toussaint L’Overture and the San Domingo Revolution, a subject on which in have already written a play performed by the State Society in London with Paul Robeson in the leading part. I have written other books: “The Case for West Indian Self Government,” a novel, “Minty Alley,” and “World Revolution” (Secker and Warburg) which has been published in America under the title of “The Rise and Fall of the Communist International” (Pioneer Press) and has been widely reviewed both in the English and American Press. C.L.R. James to The Baltimore Afro-American, October 29, 1938. This entry was posted in Haiti and tagged 1804, 1938, archives, history. Bookmark the permalink. Post a comment or leave a trackback: Trackback URL.